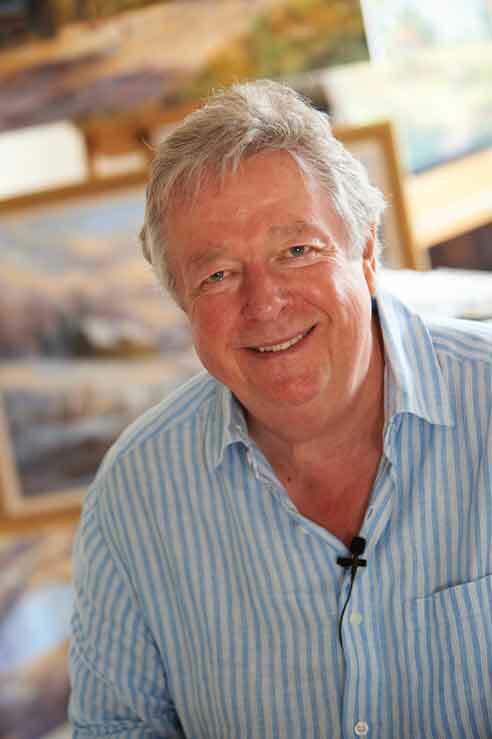 Terry was always passionate about painting and sharing his techniques with you all, and it was his wish that you continue to be able to purchase his unique products so his website shop will continue to be run by his wife Fiona, offering artists all of the 'Terry Harrison' products which he used and developed and which feature in his many books and DVDs. Later this year (2019) you will notice this site change with some lovely new ideas as well as making it easier for you to navigate. There will be a page featuring Terry's studio, allowing you to have a glimpse of where he worked and showing you what he was working on. Although he travelled extensively, demonstrating and teaching as well as working on photo shoots with his publishers Search Press, his studio was his haven, and as you will see, it was a beautiful space with lovely views. I will also have some personal stories for you, which will give you an insight into his life, humour and love of painting. 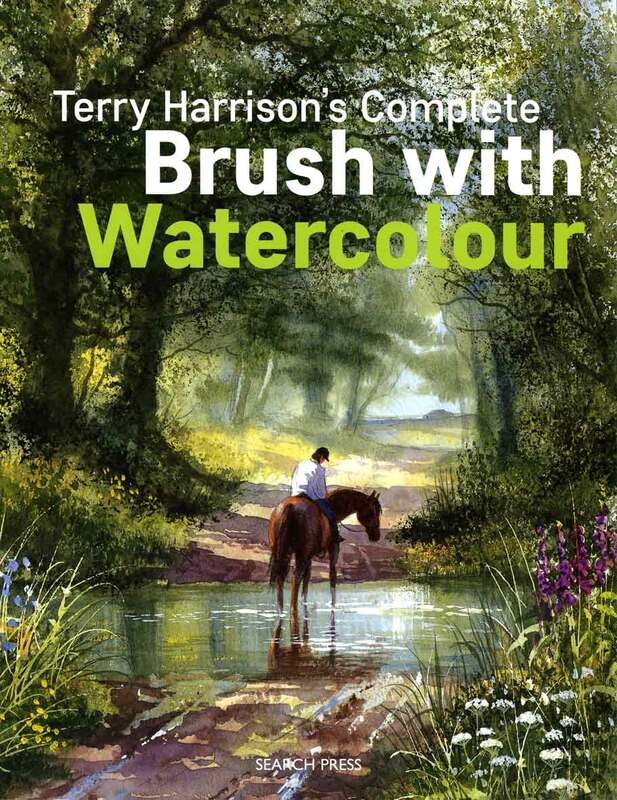 Terry's best selling book 'Terry's Top Tips for Watercolour Artists' has recently been republished as TERRY HARRISON'S POCKET BOOK and and to commemorate Terry's life I am giving away a free print with each copy sold through his website. 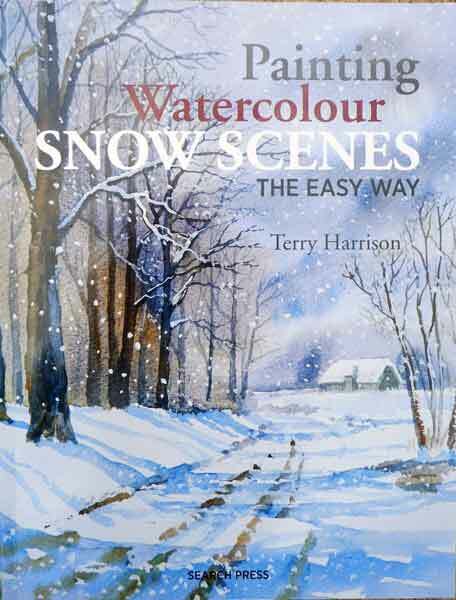 Terry's last book PAINTING WATERCOLOUR SNOW SCENES is available, and again, I am giving away a free print with each copy. Below is the book review by Henry Malt of 'Art Book Review' published in the August edition of 'The Artist' magazine. Sadly, this is going to be my last review of a new Terry harrison book. His death has left a huge hole in the world of art instruction and many readers will be asking where they will go now. Terry was one of the best explainers and his relaxed style of both painting and demonstrating made the results look, while easy, not too easy. You think, 'With a bit of effort, I could do that too' and the real secret is that you can. Terry always gave a polished performance,but there was never any sleight of hand, no secrets he kept to himself. Follow the instructions, use his own range of brushes (they really do what they promise) and the results will follow.He may be gone but there is a substantial legacy of books and articles that we can refer to for many years to come. This new book was one he most wanted to write. Given a free choice of topic, it was the one he chose and I've been told that he saw the proofs and was delighted by the result. Snow is one of the hardest things to paint, harder even than water, which is all about reflections. Snow looks white, but isn't.Its blue, its grey and its every colour in between. It obscures familiar shapes but creates new ones and has a structure and perspective all of its own. All the techniques are here, along with exercises and demonstrations that cover tracks, trees, mountains, water, buildings and mush else.There are even some well-wrapped figures and one snowman! Snow is an impermanent thing, but Terry gives it the substance you'd expect. Its both ironic and typical of him that Terry should chose to subtitle this 'the easy way'. As we all know, there is no quick or easy way to paint and its a private joke between us and the author that there might be. This though, is Terry saying 'trust me' and very gently showing you the way without leading. If it was mountaineering, he'd be holding the rope, but still letting you do the climb. He may be gone, but all the belays are still there. Sorry to go on at length there, but I think it’s important to stress that Terry is assiduous in his efforts to help you paint, rather than simply to show you how clever he is. 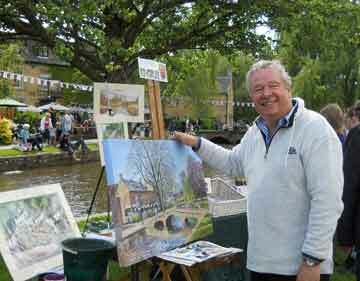 It’s the main reason why, as well as the brushes, he himself is as popular as ever.